23rd October, 2012. That was the day that Ceefax officially stopped broadcasting, and the British public had to look elsewhere for football scores, news, and weather reports. 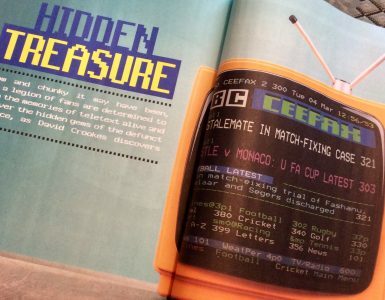 To celebrate the lifespan of perhaps the most famous teletext service of all time, Ladbrokes is serving up the weekend’s football headlines in a delightfully nostalgic fashion, as we all come together to Celebrate Ceefax. Hailing from the decade that gave us AC/DC and Queen, Ceefax launched onto TV screens back in 1974, providing information on five main categories: news, sport, weather, TV listings, and business news. More topics would be added soon, including entertainment and subtitles. 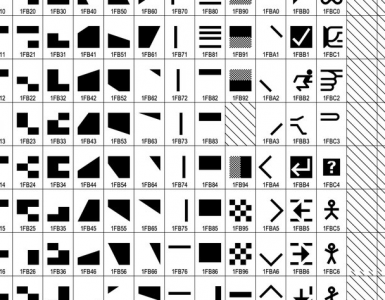 Right up until 2012, all this info was available at the click of a button – one on a remote control that is. And sadly, the demise of Ceefax would coincide with public’s preference of pressing of an entirely different button – one on a computer mouse. Today, with access to the web being as easy as pulling your phone out of your pocket, the likes of football scores and weather reports are more convenient than ever before; so convenient in fact, that even pressing three numbers on a remote control has been bettered. 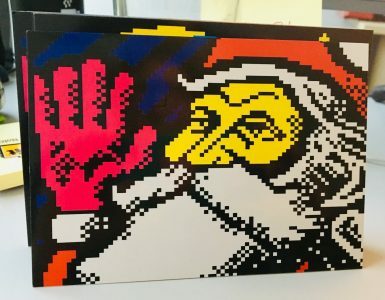 Marking four years since Ceefax was shut down, the delightful teletext service may be gone, but it certainly hasn’t been forgotten. Remembering its 38 years of service to the British public, Ladbrokes is celebrating the world’s first teletext service like no other. Join the sports betting company in honouring the life of Ceefax, if you’re one of the people who saw Ceefax as their go-to information service and wish it was still there. Just for the month of October and coinciding with the anniversary of Ceefax’s last day on Earth – 23rd October 2012 – Ladbrokes is serving up its usual football headlines with a nostalgic twist, in the style of the original teletext service! 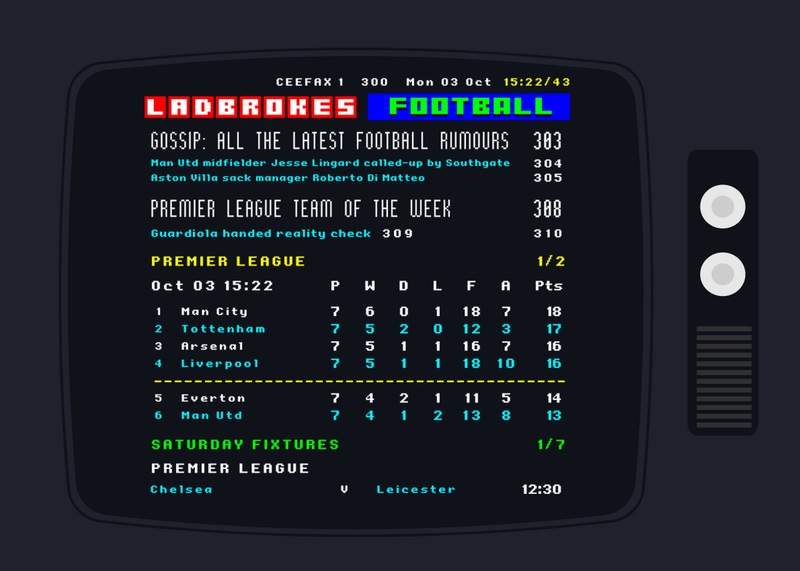 If you’re looking to see which teams have climbed the Premier League table this week – or unfortunately slipped down the order – check in with Ladbrokes to catch up on the latest football news just like it used to be when Ceefax was alive and kicking on the telly.